Nana Chornaya Elections, IMF: What to expect from Ukrainian hryvnia The Ukrainian hryvnia responded to the completion of the presidential election by slightly sliding down. But there is one more political battle ahead – parliamentary elections. In addition, due to a number of reasons, continued cooperation with the main creditor - the International Monetary Fund – could become an issue. UNIAN figured out what to expect from the national currency this year. Olha Hordienko President-elect Volodymyr Zelensky: Face to face with old economic problems Ukrainians have chosen their new president, the 41-year-old showman and actor Volodymyr Zelensky. According to the Constitution, the head of state does not directly oversee economic processes, but his policies should be in tune with the steps of the executive and legislative branches to address key economic problems. After polling a number of experts, UNIAN made an outline of the economic agenda of the new president. Dmytro Shvartz Week's balance: Last warning to Kobolyev, victory of Ukrnafta and re-nationalization of PrivatBank Prime Minister Volodymyr Groysman threatened with dismissing CEO Naftogaz, Andriy Kobolyev, if the company fails to reduce gas prices for the households before April 24; Ukrnafta won a court dispute with Russia to recover compensation for assets in the occupied Crimea; and the District Administrative Court of Kyiv recognized the illegal decision to nationalize PrivatBank – these are the main economic news of the last week. Ihor Orel Week's balance: Slower inflation, IMF forecast, and new sanctions against Russia The State Statistics Service reported on a slower pace of inflation, Ukraine's key creditor, the International Monetary Fund, released its forecast of the country's economy prospects, while the government introduced another set of sanctions against the aggressor state, Russia – these are the main economic news of the outgoing week. 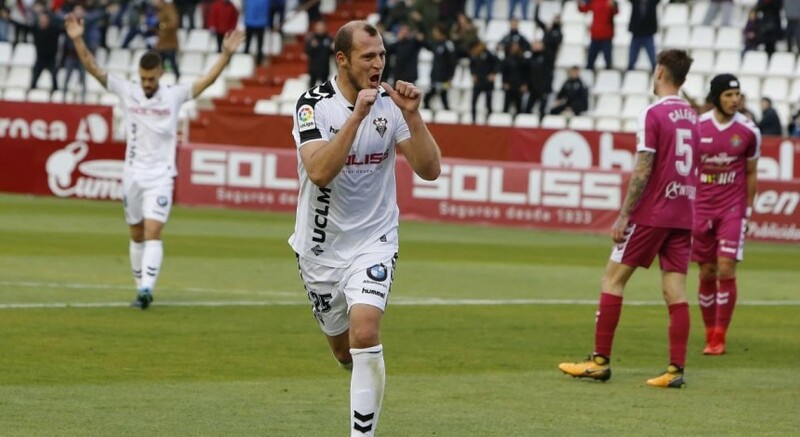 Albacete and the Spanish Footballers' Association (AFE) have backed the Ukrainian football player, offering legal support.